Big shock! Iran is now boasting that they tricked the world, can now start building nukes to bring “Death to America.” Was there ever a doubt? All negotiations with Muslim leaders should be predicated upon the stone cold fact that they are liars. They enjoy lying. They take pride in lying. They would rather lie when the truth would do just as well. We Westerners believe in negotiating in good faith, which means telling the truth. Muslims see that as an opportunity to gain an advantage by lying straight to our faces. And they do. Then they laugh about how stupid we are. I reckon so. We fall for the same lying schtick over and over. Case in point: Iran’s pursuit of what they swore was peaceful nuclear technology, to build nuclear power plants, you see. Our leaders weren’t smart enough to recognize that the last thing an oil-rich nation would entertain would be nuclear energy. They don’t need it. It simply doesn’t make sense. “Death to America” makes sense, and throngs of Iranians scream that favorite mantra at every public gathering. 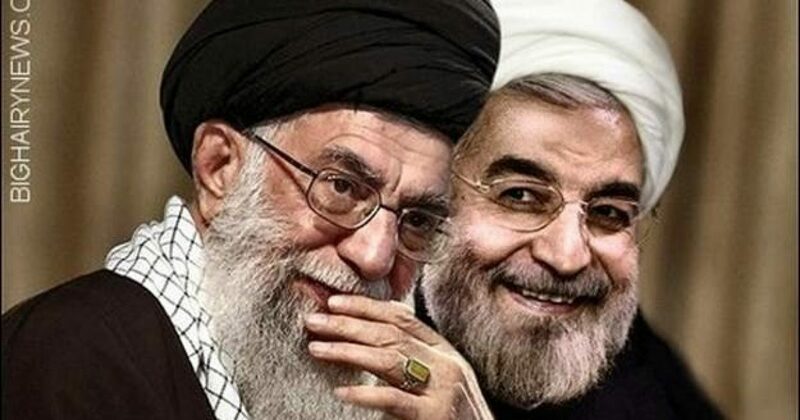 Likewise, our leaders were not smart enough to recognize that Iran is developing a state-of-the-art ICBM program parallel to its “peaceful” nuclear technology development. How many more hints do we need to finally get it? Iran’s nuclear intentions were NEVER peaceful. Their nuclear sights are clearly on Israel first, then Europe and the United States. It was so obvious from the beginning. Israel warned former US President Barack Obama that Iran wouldn’t honor the nuclear arms deal he brokered with the Islamic Republic, according to Israel Today. Now, top Iranian officials are openly boasting of successfully playing the West, while retaining the ability to restart their nuclear arms program at a moment’s notice. In an August 22 interview on Iran’s IRINN TV, the head of the Atomic Energy Organization of Iran, Ali Akbar Salehi, revealed that his people had poured cement into a few external pipes at the Arak nuclear reactor in order to fool international inspectors, but had not disabled its core. “If we want to, we can start enriching uranium to 20% within five days, and that is very significant,” said Salehi.